Coast Guard Mutual Assistance (CGMA) is the official relief society of the U.S. Coast Guard. CGMA is a non-profit charitable organization established to provide financial aid to the entire Coast Guard family. While CGMA works closely with the U.S. Coast Guard, it is an independent corporation. Its mission is to promote the financial stability and general well being of Coast Guard people through interest-free loans, grants, and financial counseling. CGMA provides essential financial aid to the entire Coast Guard family, primarily through interest-free loans, grants, and financial counseling. Established and operated by Coast Guard people for Coast Guard people, CGMA provides a way to extend compassion to one another in times of need. It serves as a vital financial safety net, promoting financial stability and general well being, fostering high morale and encouraging a sense of loyalty to the Coast Guard. 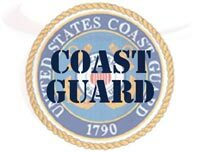 The central purpose of Coast Guard Mutual Assistance is to assist our clients during their time of financial need. In general, assistance is provided through counseling, short-term interest-free loans, financial grants, referrals, and other related means. Assistance is provided under a large variety of conditions and situations usually involving everyday essentials including emergency, housing, and medical needs that are beyond the individual's ability to meet at the time assistance is requested. Coast Guard Mutual Assistance should be used to supplement, not replace other forms of available assistance.